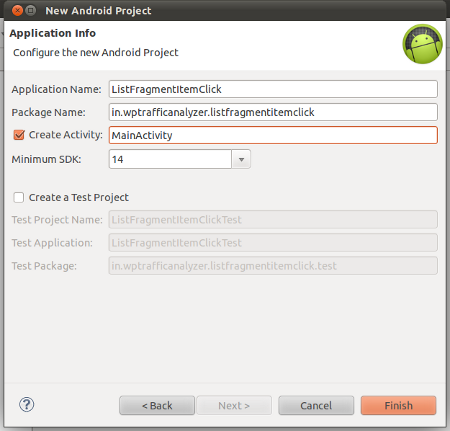 The objective of this article is to create a multi-pane android application using fragments. 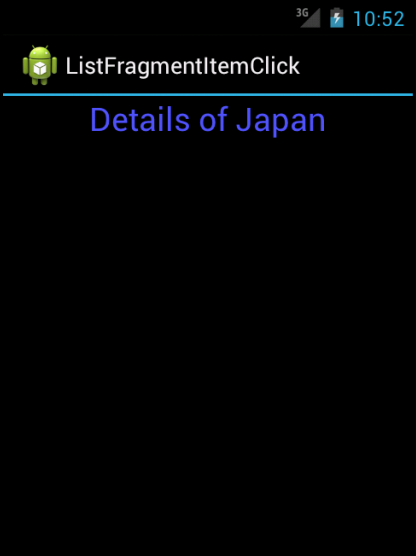 In the first pane, the list of country names will be displayed using ListFragment. 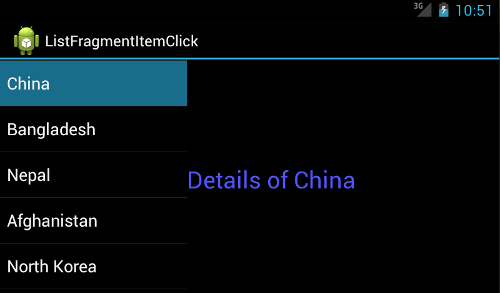 On clicking a country, its details will be displayed in the second pane. 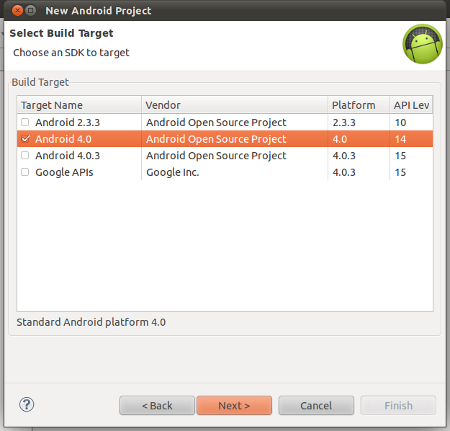 This is the behaviour if the application is viewed in the landscape orientation. If the application is viewed in portrait orientation, then on clicking a country, the country list will be replaced with the selected country details. Please jump to the end of this article to see the screen-shots of this application in two orientations. /** Getting the existing detailed fragment object, if it already exists. Figure 6: Details Activity with Details Fragment. 1) where is TAG=”in.wptrafficanalyzer.country.details” defined. 2) The download code is not being accepted by eclipse, any idea why. 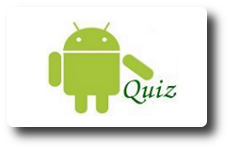 then what i want to do please give one example …….i m new in android……..now i m doing project for college submission…..reply fast sir i am waiting..
sir,I developed the custom listviewin sherlock fragment.I wanna put click event on this listview item and show the another custom listview on another sherlock fragment???? what to do ?? tell me?? thanks, but have error when transaction from portrait screen to orientation screen. You can fix it, thank you. 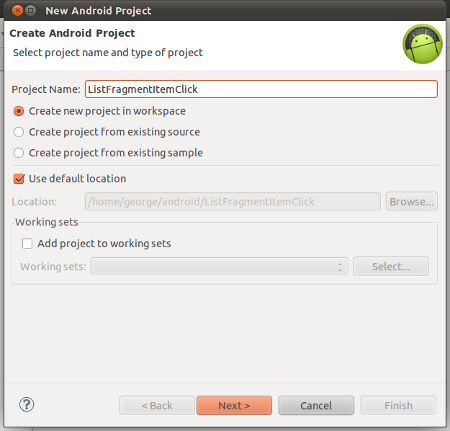 I want to create another listview in listfragment and perform some task on click of these items ..like go to other activity .Please help me . Nice tutorial..It worked fro me.